I moved to the UK from South Africa in 2002 for a period of about four years (I'm back in sunny SA now) and if you've ever heard the saying that Africa gets into your blood, believe it...it's very true. Partially to combat the home sickness and because I'm very interested in wildlife having been on many safari trips in Africa myself (over one hundred now including self drives), I started surfing around the web for any safari stories and photos I could find. It took me some time to find any as they were scattered all over the internet. I was hoping for a website that housed all the safari trip reports and reviews in one place, but it didn't seem to exist. 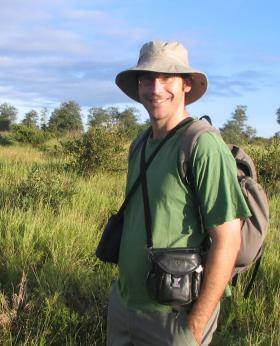 So I decided to build a website like that myself and founded African Safari Journals in 2003. 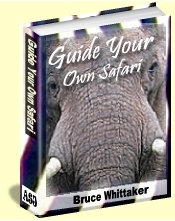 Since then it's grown into one of the most comprehensive safari trip report and review resources on the web. Having access to all the safari trip reviews gives me the unique opportunity to be able to objectively assess who the best safari ground operators in Africa are and so the Top Three Safari Company List was born which has helped thousands of people over the years choose the best company for their safari. In 2006, when we moved back to South Africa, my lovely wife Wilma agreed to help me with the growing workload of keeping this website up to date and helping people with their safari enquiries which I'm very grateful for. She loves the outdoors and is also a safari veteran like me. 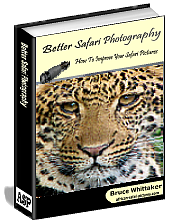 I'm also a keen photographer specialising in African wildlife photography and I have had the privilege to be able to write e-books about "How To Guide Your Own Safari" and "Better Safari Photography" using the knowledge I've gained over the years on photographic trips. African Safari Journals actually has a dual purpose. It's not just a repository for African safari experiences but it also serves an important conservation function. African wildlife conservation is something I am passionate about and I believe that global awareness of African wildlife will contribute to it's survival for future generations. The more people that know about the exquisite and indescribable beauty of Africa the better. So if you have been on a safari in Africa, why not share your travel opinion about the trip. You will be doing your bit for conservation by increasing peoples awareness of Africa. Not to mention the fact that you will also be able to show your friends and family worldwide what you got up to on your African safari and preserve it for posterity. The "Safari Journal Diary" e-book will help you record your safari as it happens. If you haven't been to Africa yet and are still thinking about going on safari, please feel free to browse through all the safari reviews available on this website. They contain informed, independent and unbiased advice that you just won't find anywhere else. I hope that African Safari Journals can be a valuable resource to you as you plan your dream safari in Africa. And it really will be like a dream come true. I have been on many African safaris and every time they finish I struggle to leave and come back to 'reality'. There is not much to compare with the peace and beauty that an African safari provides you. So when you do get back and after you have recovered from the shock of not being on safari anymore, let me know how it went. I really enjoy any stories and pictures about African safaris. It makes me feel like I am in the African bush again and for me, that really is one of the best places in the world to be.